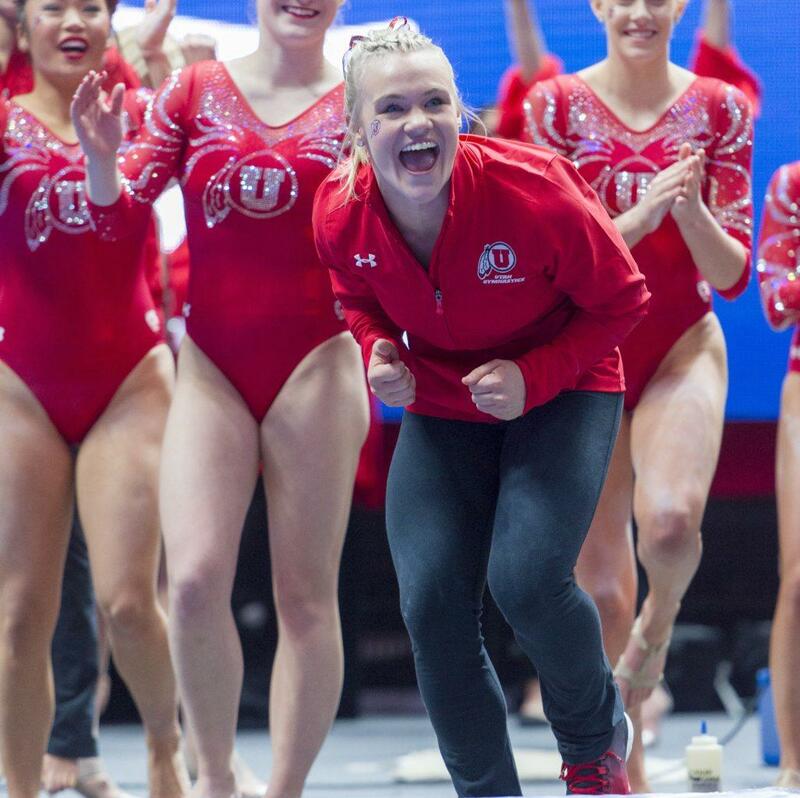 When Erika Muhaw arrived in Utah as a freshman ready to compete for the Red Rocks, she was placed in a role on the team that was different than she imagined. So far, the sophomore has competed in only six events during her time as a Red Rock. She has hit all of those routines, which included competing in the Pac-12 Championships, regionals and nationals in 2017. She may not be participating every weekend like she had planned or hoped for, but that doesn’t stop Muhaw from being the best teammate she can be or from practicing hard during the week. The impact Muhaw has had on her team and teammates is something vital to a team’s success. Senior Tiffani Lewis describes Muhaw as the person who lights up a room and has a personality people are drawn to. Muhaw is also the first person to help in anyway she can. Lewis laughed when she recalled how Muhaw is always picking on her. The journey hasn’t always been easy for Muhaw, who has learned to cope with not being able to contribute to scoring at competitions, but her role on the team happens in other ways. In a sport that is both physically and mentally tough, having Muhaw on the sideline is just as important as having the team stick every routine. Muhaw wouldn’t give up her experience for anything. The lessons it has taught her, the friendships and the 13 sisters she has made and the atmosphere of the Huntsman Center all make her Red Rock experience a dream come true.